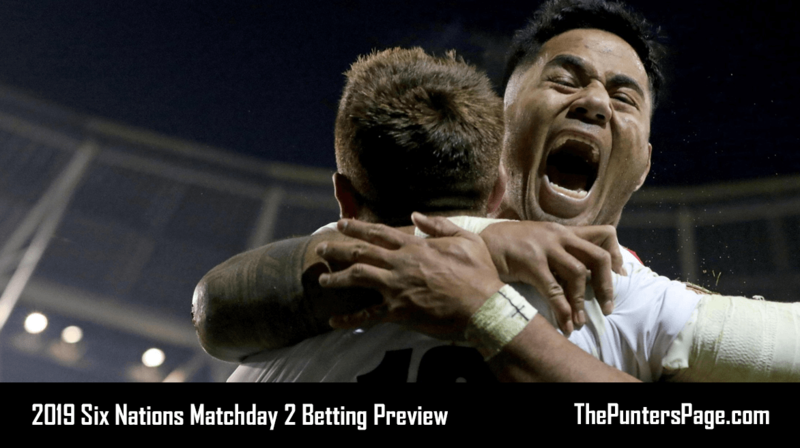 In this article we detail all you need to know about the William Hill Bet £10 Get £30 in free bets sportsbook sign up promotion. This includes a step-by-step guide on how to claim the welcome offer, how to use your William Hill free bets, as well as the key terms and rules you should know about. What Is The William Hill Bet £10 Get £30 Free Bet Sign Up Offer? 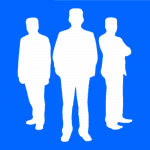 William Hill are one of the oldest, most well known and most respected bookmakers around. With an unbeatable range of sports and markets, industry leading odds and great value offers, it should be no surprise that so many punters make the company their bookie of choice. 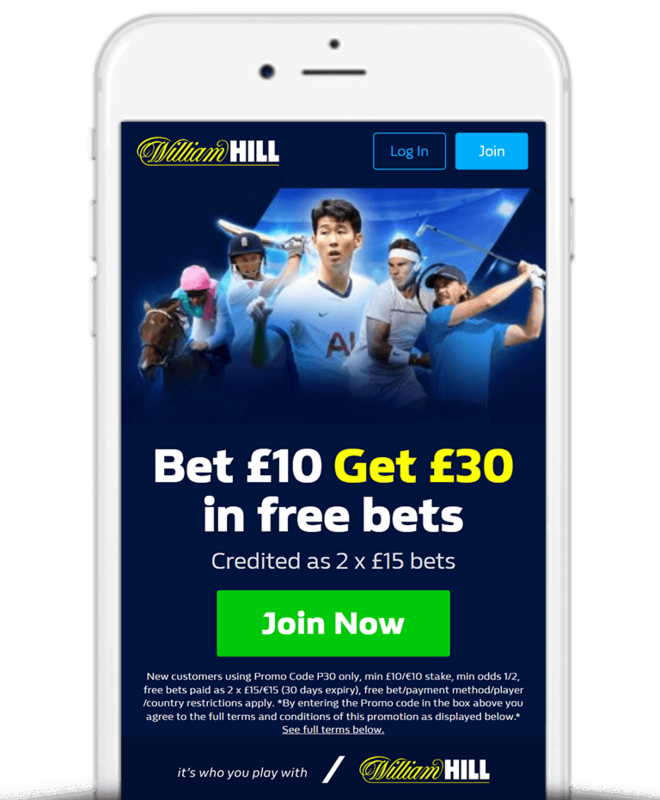 For those that are yet to have joined, William Hill are offering all new online and William Hill mobile customers Bet £10 Get £30 in free bets. Open a new account using William Hill promotion code ‘C30‘ on the registration page. Deposit £10 or more and then place a £10 bet at odds of 1/2 (1.5) or greater with the company. William Hill will then credit your account with £30 in free bets (3 x £10 free bet tokens). Your £10 wager can include as few or as many selections as you like which can be on any sport and any market, providing the odds of each selection are equal to or greater than 1/2 (1.5). Do note that if you make your first deposit via PayPal, Paysafe, Neteller or Skrill then you will not be able to claim this offer. You will however be able to use those methods after your first deposit. Once you have placed your £10 qualifying bet, William Hill will trigger your 3 x £10 free bets which will be available for 30 days and can be used on any sports market. Firstly, click here to head to the William Hill Bet £10 Get £30 in free bets sign up offer landing page. Create an account using promo code ‘C30‘. Place a £10 bet at odds of 1/2 (1.5) or greater. William Hill will then credit your account with £30 in free bets. Use the drop down menu to select your free bet. Confirm your bet by clicking ‘Place Bet‘. Can be spent on any bet type. Cannot be used to fund tote, pool or lottery bets. Must be used in full. 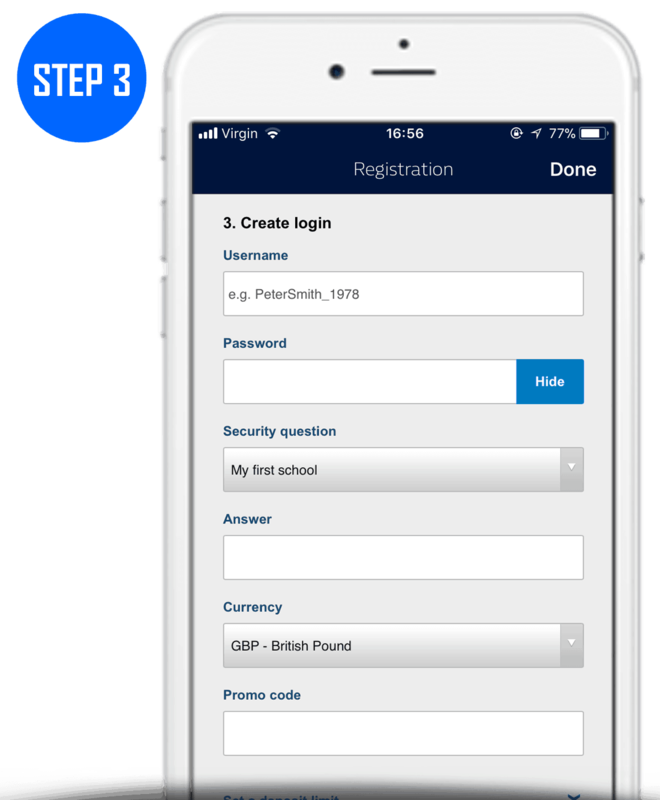 Below we guide you through the William Hill registration process in three simple steps. Step 1) Fill in your personal details. Here you need to select your title, enter your first name, surname, date of birth, email address and mobile number. Step 2) Fill in your address details. Here you need to enter your address details. 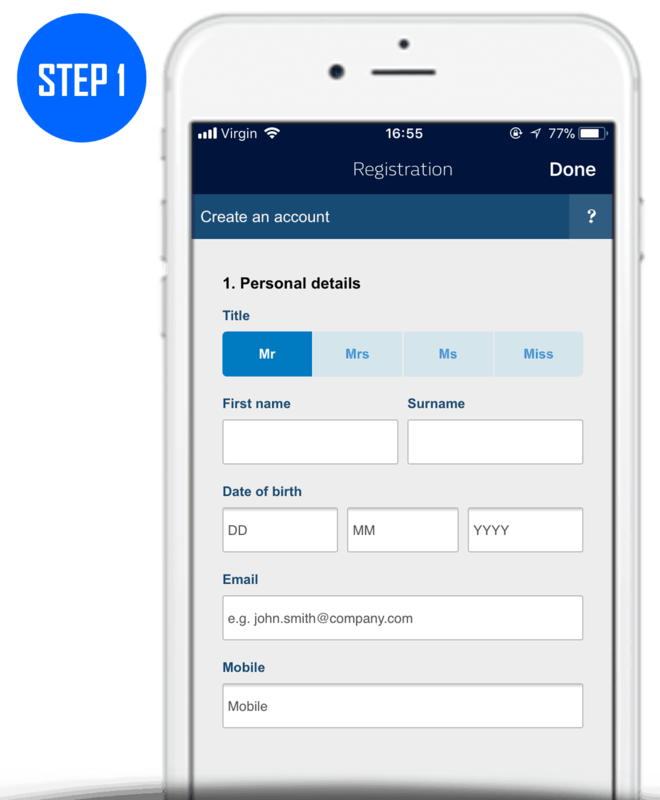 Step 3) Create your login details. Here you need to create your username and password. You then need to select your security question and create an answer. Finally, select your currency and enter any necessary promotion code. There are a number of key terms and rules you should be aware of regarding William Hill’s Bet £10 Get £30 in free bets joining offer. We’ve detailed the main ones below although you can find the full T&C’s on the William Hill website. Only customers who sign up through the correct link (available above) will qualify for this William Hill free bet offer. Must use promo code ‘C30’. William Hill’s Bet £10 Get £30 in free bets sportsbook offer for new customers is essentially a 300% bonus as you are getting 3 times your initial deposit. We do also like the idea that your free bets are split into 3 as not only are you are given more opportunities to win, but you also have more opportunities to try out the William Hill website itself. 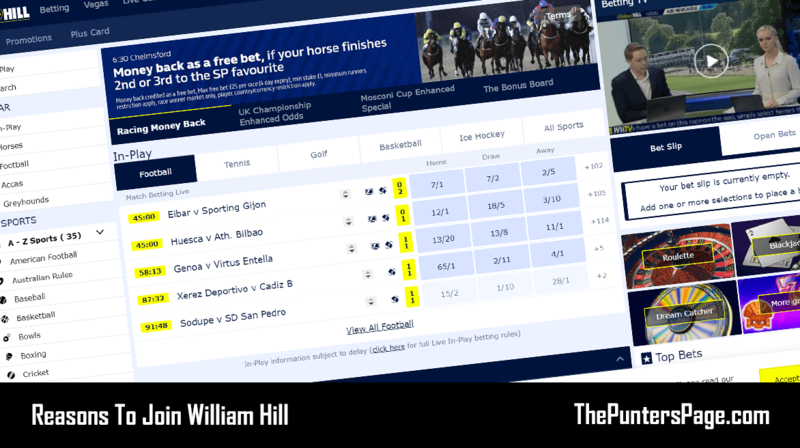 As always, it is recommended that you familiarise yourself with the William Hill free bet rules and terms and know exactly how to use your William Hill free bets before joining. However, if you do have any queries, questions or concerns, you can email us at [email protected] or tweet us @ThePuntersPage.